She was born in Hamburg, where she received her first violin instruction at the age of six from her father. She studied music at the Academy of Music and Performing Arts in Hamburg with Prof. Petrosjan and Prof. Ziolkowski. From 1980 to 1983 she played in the Hamburg State Orchestra. In 1982 she was offered a position as first violinist in the NDR Symphony Orchestra, which she did not take so she could join the Symphonieorchester des Bayerischen Rundfunks, where she has been a member since 1983. In 1980 she switched from the second to the first violins. Since 1998 she has been a member of the Bayreuth Festival Orchestra. 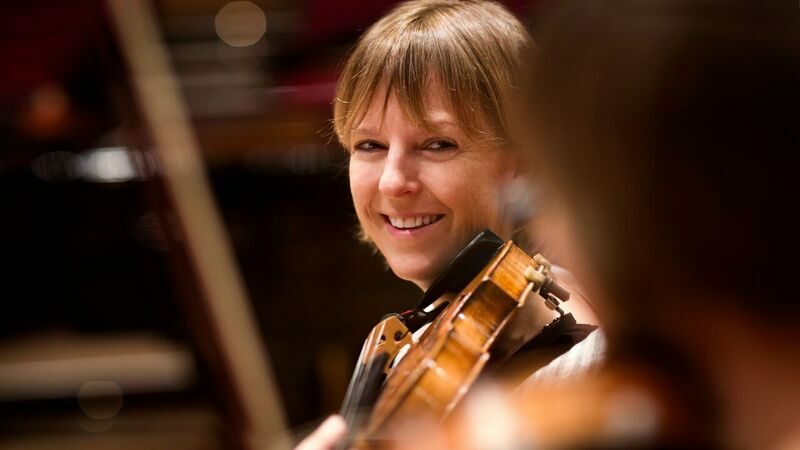 Besides her orchestral activities, she also plays in several chamber music ensembles, such as the Seraphin Quartet (since 1991), and the Pegasus Quartet, founded in 2000.